It’s the last class or it can be your first! 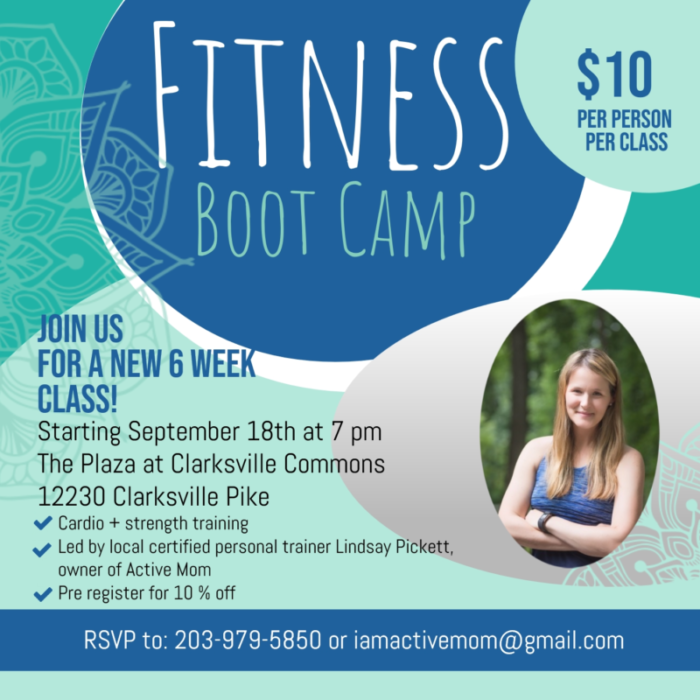 Join local certified fitness instructor Lindsay Pickett for boot camp on the plaza! All are welcome. For more info, please contact iamactivemom@gmail.com.